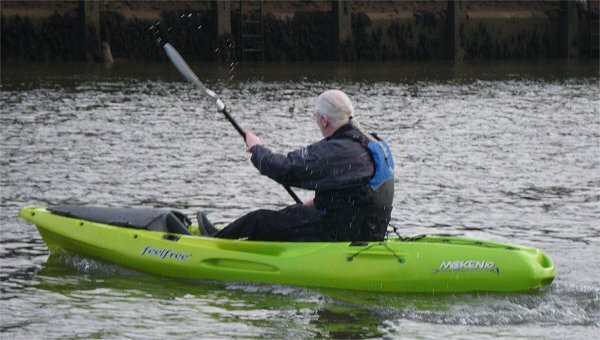 The Moken 10 is a super stable, feature packed fishing kayak which is ideal for inshore coastal fishing and freshwater angling. 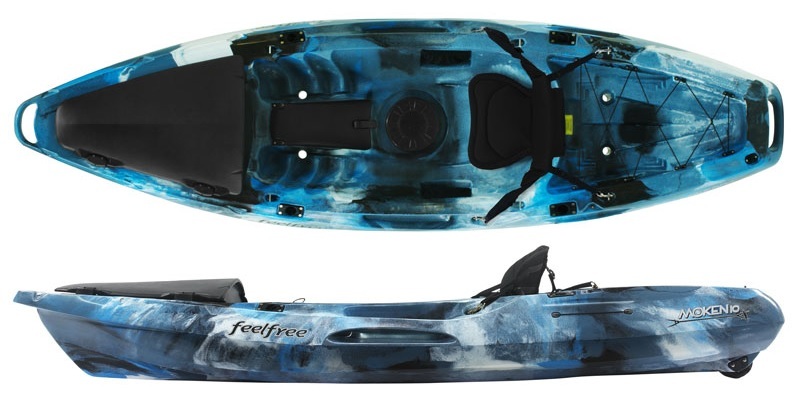 The Feelfree Moken 10 is a compact yet feature packed fishing sit on top, smaller than most dedicated angling sit on tops it is perfect for people paddling on sheltered inland waters and those who dont need to paddle long distances to their favourite fishing spots. 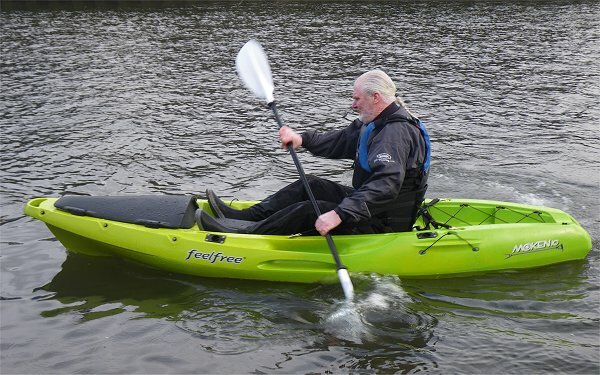 With loads of features for the dedicated kayak fisherman, the Moken 10 has everything within easy reach- an 8" rubber hatch directly in front of the seating area is perfect for storing those on the water essentials, whilst the handy flip up centre console and mesh side pockets offer ample storage for lures, weights and other tackle. The front hard hatch, whilst not completely dry, offers a secure place to store dry bags, fish youve caught or anything else you want to keep safe. The Moken 10 also features Feelfree's "Wheel In The Keel" which makes getting the boat to and from the water a breeze. Whilst this wheel is only designed for hard surfaces, it makes moving the moken 10 down the slipway or to and from the garage to the car much easier. Other features of the Moken 10 include 4 flush mounted rod holders; 2 forward facing and 2 rear facing, chunky built in grab handles on the side make it easier to move around than other sit on tops, and easier to get back in and out. A built in paddle keeper on the side of the boat, and a large rear storage area with bungee's to secure kit make this a well thought out and practical fishing sit on top. •Handy flip up console for lures. Ample room behind seat for storage crate. Weight 60.6 lbs (27.5 kg). We offer a delivery service for the Feelfree Moken 10 throughout the UK & Ireland to home and work addresses. If you are local to our shop in Hamworthy, Poole then we may be able to deliver a Feelfree Moken 10 with one of our own vehicles. For boats, this is free to most BH Postcodes - please call us on 01202 625256 to discuss your requirements. Buy a Feelfree Moken 10 online from our website and collect from our shop in Hamworthy, Poole or you can collect from any branch within the Canoe Shops Group. There is no cost associated with instore collection.